Here at Premier Gates & Fabrications, we are security gate manufacturers who offer gates, fabrication, gate automation, bespoke gates, bespoke railings, secure gates, gate fabrication, driveway gates and entrance gates to clients throughout Stockton On Tees and the surrounding areas of County Durham. We offer a complete fabrication service from one off commissions to batch production with excellent service and quality, while also providing a fast turnaround on all manufactured products. We’re blessed with a highly professional, skilled workforce with experience in providing fabrication to industrial, commercial and domestic clients throughout the Stockton On Tees area of County Durham. 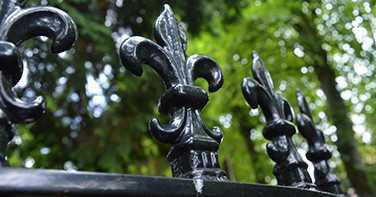 Our fabrication services include gates, bespoke gates, bespoke railings, secure gates, driveway gates and entrance gates. We pride ourselves on offering a full fabrication service at a truly competitive rate, which is why we firmly believe that we should be your first and only port of call for gate fabrication and security gate manufacturers, anywhere in Stockton On Tees or the surrounding areas of County Durham. We also offer one off commissions and batch production, with excellent service, quality and a quick turnaround in manufactured products. At Premier Gates & Fabrications in Stockton On Tees, our services provide to industrial, commercial and domestic customers. We also provide a rapid manufactured service for all of those break down situations that seem to spring themselves on our clients every now and again. If you’re looking for bespoke gates and railings that can be manual or electric opening, you’ve certainly come to the right place. 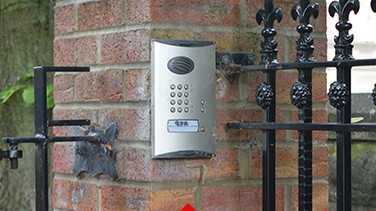 We design and manufacture a complete range of automated security gates for domestic or commercial purposes. 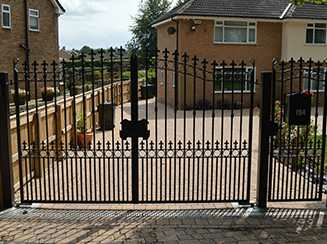 If you require driveway gates or entrance gates, look no further than Premier Gates & Fabrications in Stockton On Tees, County Durham. 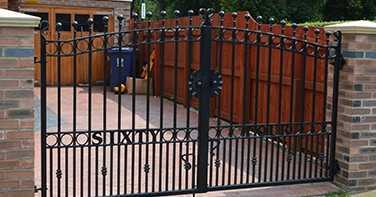 If you require additional information on the services we offer as security gate manufacturers in Stockton On Tees, such as gates, fabrication, gate automation, bespoke gates, bespoke railings, secure gates, gate fabrication, driveway gates and entrance gates, don’t hesitate to get in touch with us today. We’re always here to take your call, deal with any enquiries and answer any questions that you may have about the products and services that we offer throughout Stockton On Tees and the surrounding areas of County Durham.